Although primarily focused on the Sarod, the Shahjahanpur Gharana has had a significant influence of the Sitar as well. Primarily the influence of the Etawah Gharana is noticeable. Pandit Radhika Mohan Moitra (Radhubabu) was influenced by his mother who played the Sitar and was a disciple of the legendary Ustad Enayet Khan, father of Ustad Vilayet Khan. Radhubabu was himself a very good friend of Ustad Vilayet Khan. Legend has it that Radhubabu could play the Sitar just as well as the Sarod. He had a number of students playing the Sitar, some of who later grew up to be famous, including the likes of Pandit Nikhil Banerjee, Rajani Kanto Chaturvedi, Himadri Bhushan Bagchi, Rabi Sen, etc. Upholding this tradition of the long line of Sitarists in a Sarod Gharana, Sugato Nag has emerged as one of the most talented and leading exponents in his generation. Born in a highly educated and musical family he took up learning the Sitar at an early stage. 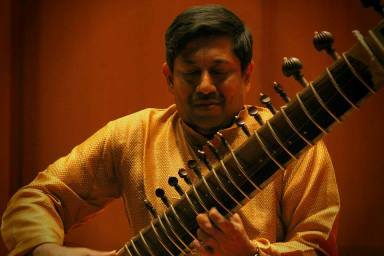 Sugato’s father Prabir Nag’s had himself a strong interest in music, art and culture, and as a high school student, took some Sarod lessons with his classmate , the young Buddhadev Dasgupta. 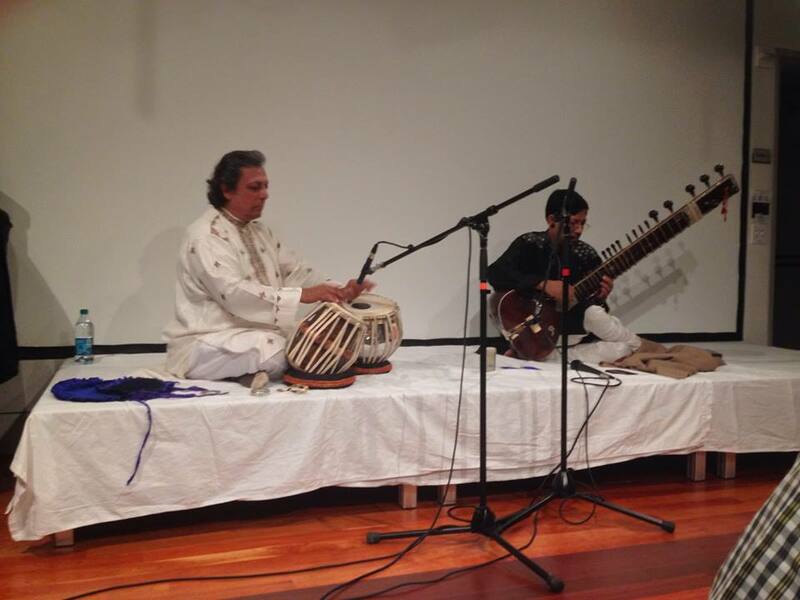 Sugato began learning music from Shri Anil Roychoudhuri, one of the seniormost disciples of Radhubabu. He had a brief stint under Radhubabu after the death of Shri Roychoudhury. The family friendship with the Dasguptas brought him close to Pandit Buddhadev Dasgupta and thus began the long journey of arduous training and relentless riyaz, that helped mature Sugato into the musician that he is today. Sugato has retained the playing style of the Etawah Gharana, that Radhubabu so carefully followed and preserved, and has also infused his Sitar with intricate bol (rhythm) baaz inherited from the Sarod, that is typical of the Shahjahanpur Gharana. Sugato has performed extensively across India and abroad. His performances at leading music concerts in Indian namely, Sangeet Research Academy, The Dover Lane Music Conference, Ramakrishna Mission Music Festival, ITC SRA Sangeet Sammelan,Sangeet Natak Academy, Indian Council for Cultural Relations (ICCR), Sangeet Mahabharti, Mumbai and various other institutions of music have been acclaimed greatly by critics and connoisseurs. He has toured the US, Canada, Germany, France, UK, Holland and Japan, playing in University circuits as well as in Music Conferences. He is a regular performer on various Indian radio and television channels. Sugato lives in Kolkata, India from where he continues to teach students to carry the tradition of the Gharana, and also reach out to the world with his lovely music. More details can be found on his website: www.sugatonag.com.